A fun pattern for modern quilters, the Polka Dot Bikini quilt design resembles the classic double wedding ring pattern but is created in a brand new way. The piecing for this fresh quilt design involves basic curves, with no foundation (paper) piecing, or tricky bias arcs… don’t tell your friends. It is easier to piece than it looks! Instructions are included for curved piecing and a free video tutorial is available below. 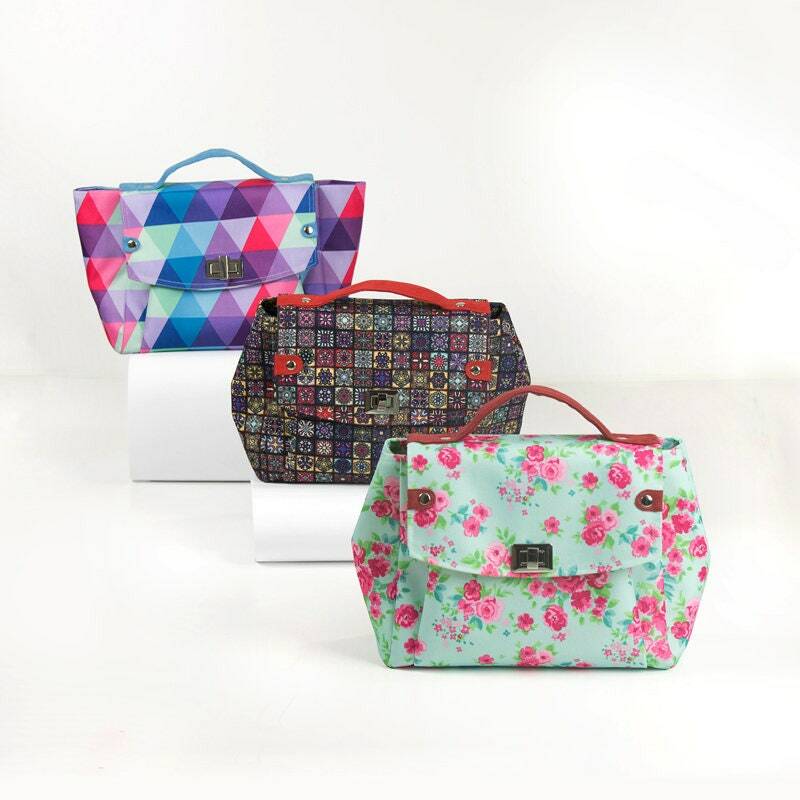 Pingback: Sweetheart Bag – Free PDF Sewing Pattern + Sewing Machine Maintenance & Troubleshooting | PatternPile.com - Hundreds of Patterns for Making Handbags, Totes, Purses, Backpacks, Clutches, and more.